Are you an experienced full-stack developer who is looking for flexibility and responsibility in your daily job? Apply now! You’re collaborative and a real team player. That being said: through us you will get in touch with an unlimited world of international connections and resources, since we operate in three countries (and counting). Your know-how and experience help moving Emark forward. Therefore, we have a listening ear for your wildest ideas and together we keep stretching our boundaries. We like you to follow the path you’ve created, and we invest in your personal development. Not only your tech, software or management skills are valued, but also your BBQ or table football talent. We support a dynamic and a feel-at-home kind of workplace with TGIF drinks and an extensive daily lunch in our stylish office kitchen. And of course, last but definitely not least: we offer comprehensive benefits and cool perks to make you happy you applied for the job. If you're interested please 'Apply now'. We're looking forward meeting you. 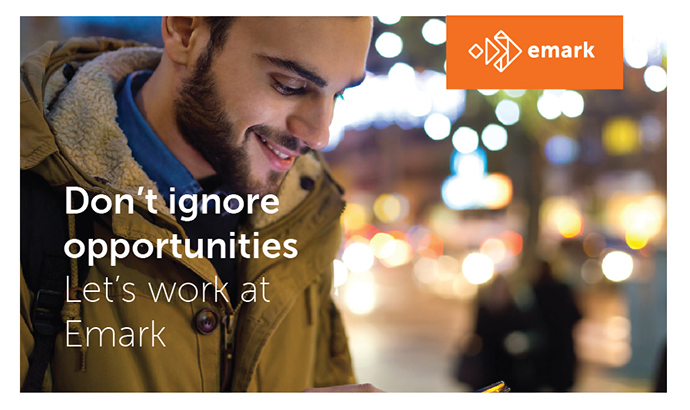 For more information about working at Emark and this vacancy, please feel free to contact our Corporate Recruiter Zweder van Hövell by sending him an email via "Aplikuj teraz" button or give us a call: +31 23 551 8899.